Iranian Nuclear Deal? 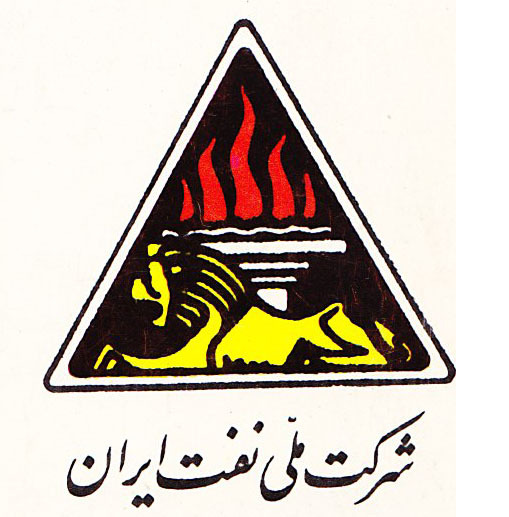 Energy Industry Winners, Losers - Ellen R. Wald, Ph.D.
Emblem of the National Iranian Oil Company in the 1950s. The roiling oil market is preparing for a coming Iran nuclear deal, even as talks extend – for the forth time – past an imposed deadline. No one knows the exact impact a potential deal will have on oil supplies in the global market, (see here) but it is clear that speculators are already reacting in anticipation. If Secretary Kerry announces a deal in the next week the price of oil will drop – that much is certain. In such a circumstance, who in the energy industry stands to gain and who stands to lose? Consumers – Lower gasoline prices will be evident this fall. If the savings hold on through the holiday season then retailers could also see a real bump as savings at the pump are translated into more expansive purchases. Such lower gas prices will probably be too late to further boost the summer travel season, however. If low gas prices persist long enough, we could see improvement over Labor Day and then Thanksgiving and Christmas. Large energy companies – If you are a large, well-capitalized energy company looking for a bargain, then lower oil prices have come at the right time. Smaller energy companies, already facing pressure, will be under greater pressure to sell themselves and their assets. In some cases, creditors will be selling off seized assets. Petrochemical industry – Companies using crude oil as a base of production are in luck as their raw material costs continue to drop. Interestingly, 2 out of the top 5 chemicals firms in the United States are subsidiaries of major oil companies, so gains in petrochemical manufacturing may help offset losses in crude oil. When we expand that list to the top 10 chemical corporations in the world, we add Sabic (SE:2010), owned by Saudi Aramco, to that list. Manufacturers – Lower material costs will translate to higher profit margins across the manufacturing industry. Falling transportation costs will contribute to those gains, though it may take months until the economy sees the benefits. Aramco – The most powerful energy company in the world and the original architect of freefalling oil prices is best positioned to withstand lower oil prices. Aramco’s costs to produce a barrel of oil are the lowest in the world and there is no better time for it to expand its refining and petrochemicals arms at home and globally. Precarious shale oil companies – Despite the chatter about how much fracking companies have reduced costs, the benefits of technological advances, and the movement to refrack older wells, the fact remains that many of the smaller companies that made the shale revolution are in serious debt. Banks are already starting to pull back; particularly as regulators move to take a closer look at the way they have rated loans to energy companies. Without a constant influx of cash, the profit (if any) on a $50/barrel of oil will not be able to sustain these heavily leveraged companies. The difference between $60/barrel and $50/barrel may be the difference between success and failure for many. Renewable energy companies – Despite all of the tax breaks and social pressure to put solar panels on top of roofs and windmills off the coast of expensive beach retreats, renewable energy is not economically feasible, especially with lower fossil fuel prices. Renewable energy startup need investment and debt, which is less likely when the investors and creditors see lower fuel prices. Furthermore, the only way renewable energy technology will be adopted on a mass scale is if consumers see a real benefit to their wallets. Lower oil prices push that tipping point farther down the road, and companies pushing current high cost/low benefit renewable technologies will find themselves with even less demand and less access to capital. Investors who bet on a quick return to $70+/barrel. As a Middle East specialist I’m still skeptical that Iran will sign any agreement. Even if Secretary Kerry announces a breakthrough, a done deal is far from guaranteed. And again, it’s important to remember that in the long term (Q4 or 2016) we may see that Iran’s contribution to the oil supply is minimal to begin with. However, the short-term reaction of speculators would definitely drive prices down in the unlikely circumstance of an actual deal.